It’s the fall. The temperature is dropping, and the days are growing shorter. Now’s the perfect time for Niantic to release a new line of clothes for Pokemon GO avatars to wear to help them keep warm, but instead, the company has decided to throw us a curve (Poke)ball and release Alolan summer beachwear. Well, maybe it’s not that big a surprise since it’s only fall in the Northern Hemisphere; Southern Hemisphere countries such as Australia are currently experiencing summer weather, so the clothes are fairly appropriate down under. To celebrate the release of Pokemon Ultra Sun and Ultra Moon, Niantic has recreated the clothes that player characters will wear at the start of the game. They’re fairly faithful and make Pokemon GO trainers look ready for a day at the beach. While players can’t pick the colors of the clothes, they are free, so players don’t have to spend their hard-earned Pokecoins to sport some new threads. After all, Gen III Pokemon are scheduled to arrive in December, which means those Pokecoins are better spent on Pokemon storage upgrades; how else do you expect to catch ’em all if you haven’t the space? While gamers will have to wait until November 17th to start playing Pokemon Ultra Sun and Ultra Moon, the avatar clothes for Pokemon GO are already available and ready to be worn. 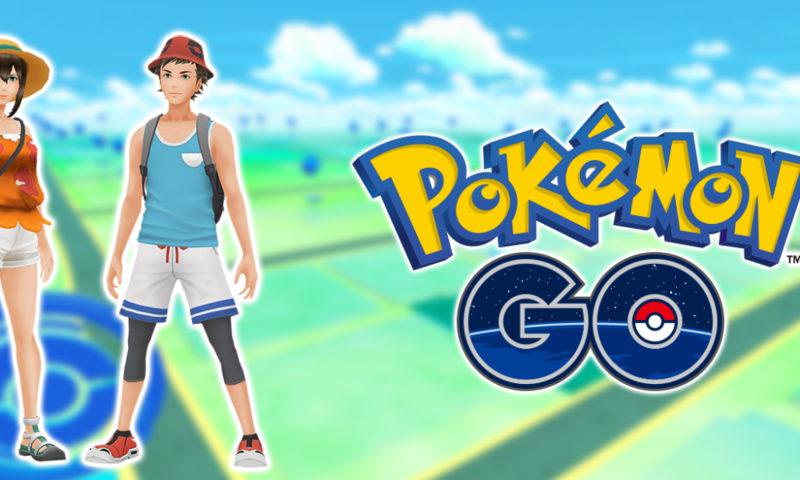 Plus, these clothes open the door for a whole slew of new clothing options for Pokemon GO, since Niantic has demonstrated it is willing and capable of bringing clothes from the main Pokemon franchise over to the mobile game. Maybe we can expect to see some clothes the main characters of other Pokemon games wore, and we might even get clothes from the Pokemon anime characters someday; I’m more than ready to prepare for trouble and make it double with Jessie and James’ red and white Team Rocket outfits.